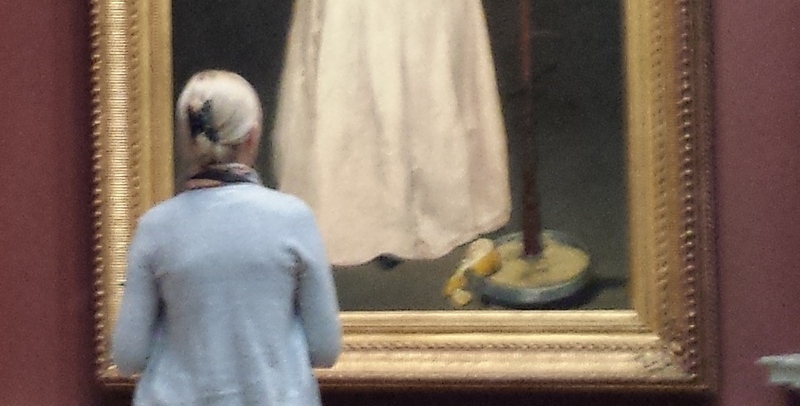 It was good to spend time with the actual painting Manet created: to see the pink satin of Victorine’s skirt and stare at the orange at Victorine’s feet. 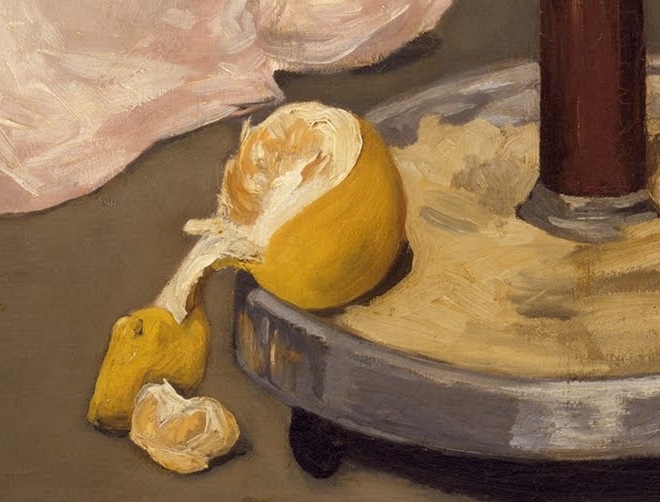 I have this belief that Manet always gave something yellow or orange to the people he really loved when he painted them, and in this case, it’s a peeled orange with one section loose on the floor. As much as I loved spending time with the painting that April morning, oddly or not so oddly, the experience also made me value all the hours I spent looking at the painting in books and online. 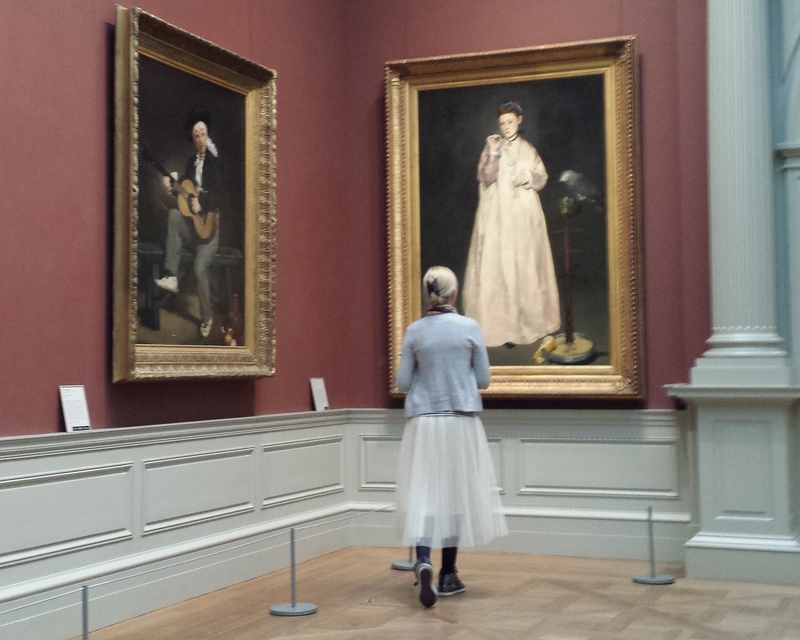 Nothing can replace being able to see Manet’s brushstrokes, or the actual physical quality of the paint that makes Victorine’s dress or the orange, but there at the Met, that really was the area of the painting I was most confined to: the bottom half. I’m about the height of the young woman in the fairy skirt (or shorter), and you can see where our gaze naturally falls. This painting measures 72 inches tall, which is 10 inches taller than I am. 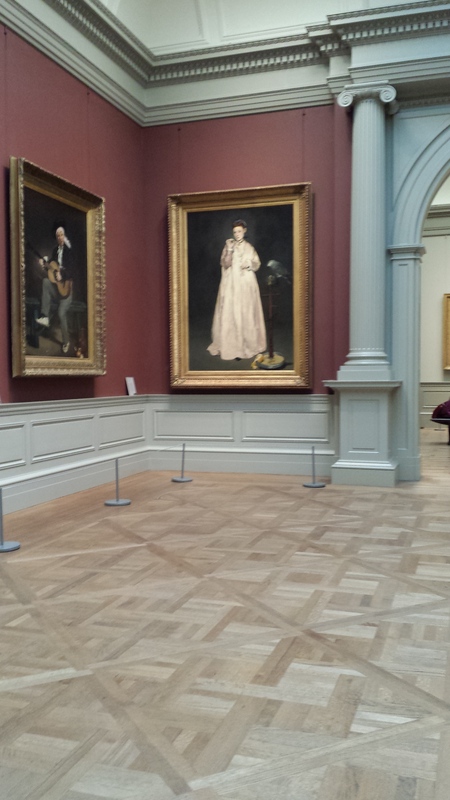 Even if the painting were hung with the bottom on the floor so I could look Victorine in the eyes, I don’t think museum guards would want me standing close enough to pore over her face the way I want to. That’s why I zoomed in on the detail at the top of this blog post: to show how close I would choose to get in order to see what I want to see. When I’m this close to the painting, I can see the set of Victorine’s mouth and the shadow under her lower lip, and I can study how different her eyes are. 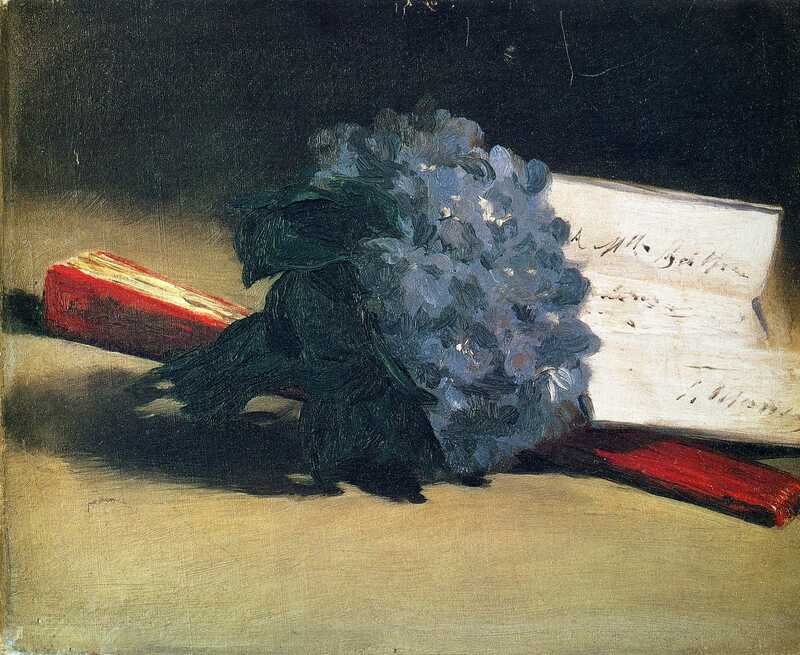 And the little bouquet of flowers becomes less of a prop and more a detail of a real moment in time. Instead of just seeing a pretty posy, I begin to imagine Victorine really smelling the flowers’ fragrance. 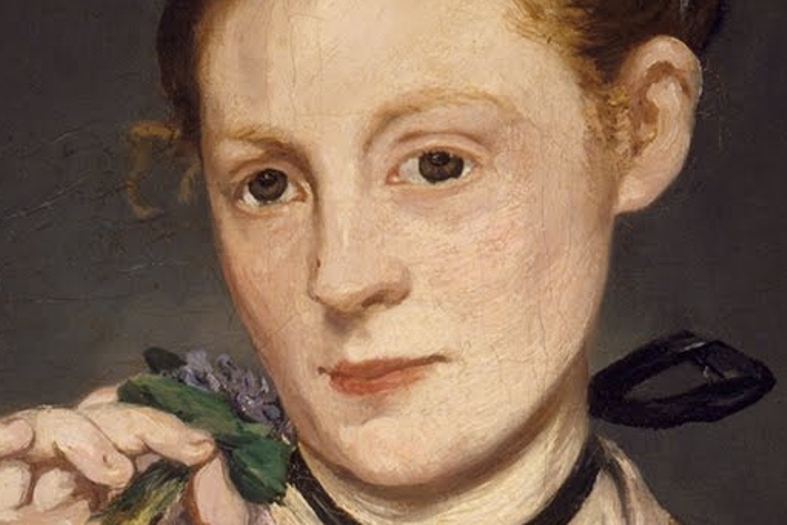 But as I stare at Young Lady in 1866 close up, the flowers become lilacs because that’s the flower I can imagine smelling for hours, that I can imagine turning my head to breathe in over and over. Getting close to the painting is what allows me to experience it differently—which is what I want to do as a viewer, and what I needed to do when I was writing Paris Red.